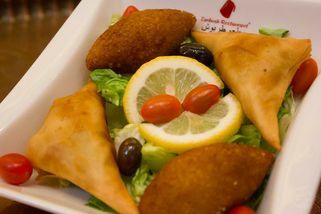 Part of the Tarbush Restaurant chain. From entrance, march towards the lower ground of the mall. Turn left and walk towards the behind of the mall. The restaurant is located behind the escalator. 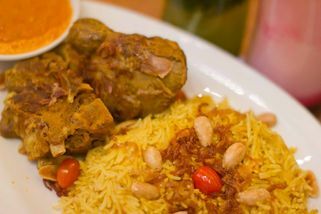 If you’re a fan of Middle Eastern cuisine and have been in Kuala Lumpur for the past decade, you’ve probably heard of Tarbush. 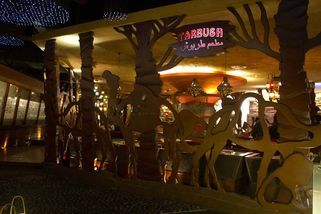 Tarbush’s legacy began in 1998 as a small establishment offering shawarma and Middle Eastern snacks and since then their establishment has flourished into several restaurants in Malaysia. 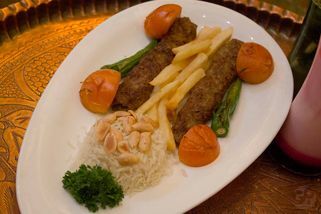 Tarbush serves classic Arabian and Lebanese cuisine, with their wide list of appetizers being the most popular. 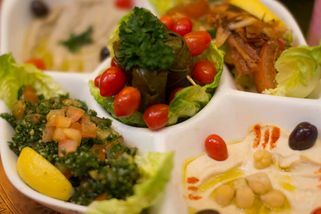 Try the Tarbush Hommus, Kibbeh, Falafel, or if you can’t decide on just one try the Mazze platter which consists of four or five combinations of appetizers. 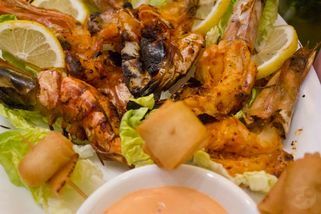 Complete your meal with a Mixed Grill platter to sample what Tarbush offers in their selection of main courses. The ambience at Tarbush is truly breathtaking. 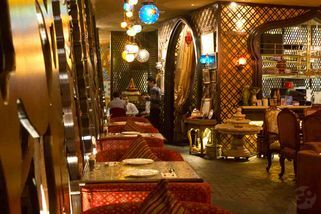 The warm colour palette, elaborate patterns adorning the walls, engraved tables, intricate lights and velvet chairs creates the illusion of a majestic hall in the Middle East. Tarbush Restaurant @ Starhill has no review yet. Submit a review!